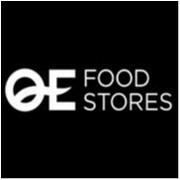 QE Foodstores Balmain joined our Mission to help provide access to “Clean Water for All by 2030”. This Mission was initiated by the United Nations. A big thank you to QE Foodstores Balmain’s team and customers for joining this extremely important mission on 04 February 2018. At QE Foodstores we are proudly part of your local community. We nimbly adjust to your needs and requests – because we are truly independent. As an Australian family-owned business we are dedicated to giving our customers only the best, most effortless shopping experience at all our stores. Our family-owned food stores have strong ties to the local community. We believe in giving back to the neighbourhood that has welcomed us, and actively support Oz Harvest, and the local churches and schools.